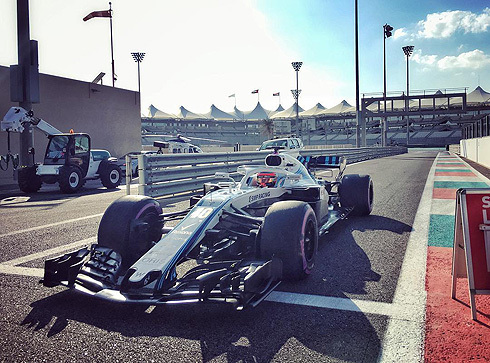 The Williams team would complete their second and final day of testing at the Abu Dhabi as part of Pirelli's testing of their 2019 tyres. Again both Robert Kubica and George Russell would take part with Robert running in the morning and George in the afternoon. The team would spend the day carrying out runs on the 2019 tyres without doing any comparisons with the 2018 tyres. Performance was not a focus but the times would see the Williams drivers finish the day in 7th and 10th. 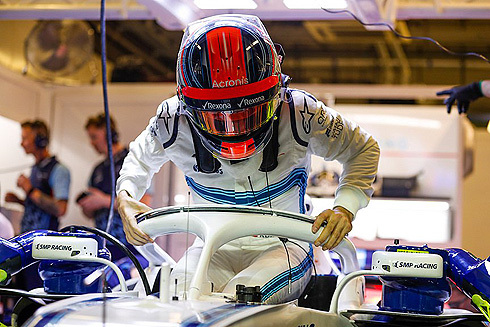 Day two of the Williams teams test at the Abu Dhabi circuit and it would be Robert Kubica out first and he would complete an initial run of six laps with a time well away from his day one best. As the morning progressed Robert would continue to lap the circuit but would remain slowest. But Robert would set a 1m:40.265 to be eighth in the morning session having completed fifty six laps in what was a series of runs during his time in the car. Robert's programme would be delayed during the morning with several lengthy breaks in his time on the track. Robert would confirm that the team only used 2019 compound tyres in his morning run. In interviews after finishing for the day Robert would comment that he saw an improvement in the management of the Pirelli tyre 2019 temperature. Robert said: "Like all teams, we worked to try to get an idea of ​​the new tyres and the different compounds, today we have not tested the 2018 tyres , so we do not have a fair comparison." He added: "We have focused on 2019, trying to extract the maximum, we have not compared the 2018 with 2019, we have only focused on the 2019 specification, but the feeling is a little different." As for his days testing Robert had broken his time in the car into short runs, with a stint of fourteen laps the longest run. Robert has underlined the importance of collecting information for next year. "We have followed our program and now we will analyse the results - we will meet with the engineers, we will see what Pirelli does after two days of filming and then we will start working for next year." 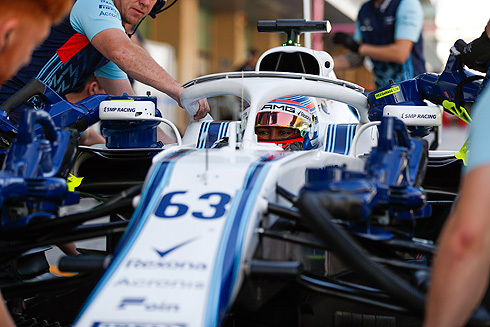 Eventually George Russell would take over from his 2019 team-mate and would continue running on the 2019 tyres for the remaining part of the final day of testing and Formula One cars running in 2018. With the circuit under lights George would leave the pit lane for the last time. On this last run George would set a vastly improved 1m:38.802 to be seventh in the times while team-mate Robert was now tenth. George would only complete thirty eight laps in his time behind the wheel. George would pit after his final run and the team would take the opportunity to complete one final 2018 pit stop.